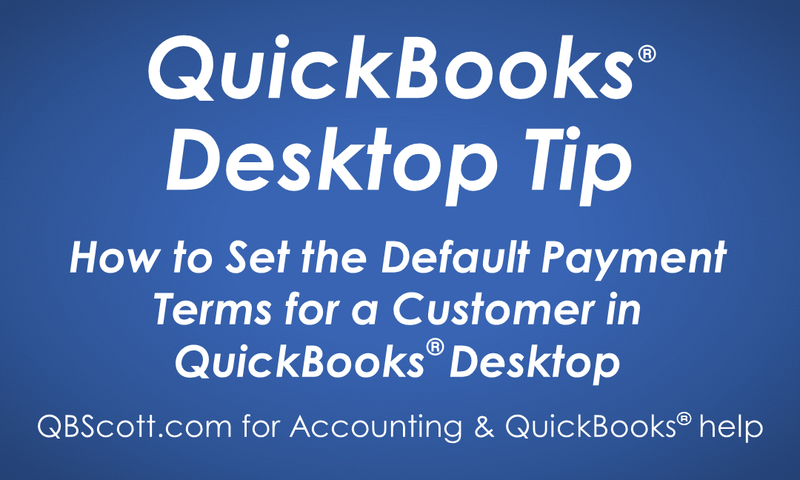 Setting the default payment terms for a customer comes in handy when you’re creating invoices. Once set, the payment terms will automatically populate on the invoice when the customer name is selected from the Customer:Job dropdown on the Create Invoices screen. 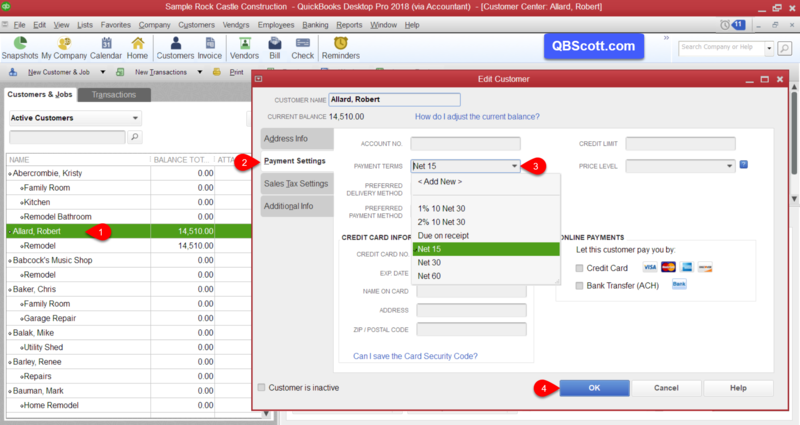 Additionally, it’s important to know that by default QuickBooks sets the customer payment terms to NO payment terms. This means that the invoice is due upon receipt. So, if you created an invoice yesterday and assessed ﬁnance charges today, the customer with no payment terms would potentially receive a ﬁnance charge! This may or may not be a bad thing depending on how you run your business, but I think it’s important to be aware of this idea. So, to set the default payment terms for a customer, while in the Customer Center double click on the customer (1), click the Payment Settings tab (2), click the Payment Terms dropdown and select the terms (3), and click the OK button (4). The next time you create an invoice for this customer the payment terms will populate the invoice by default.